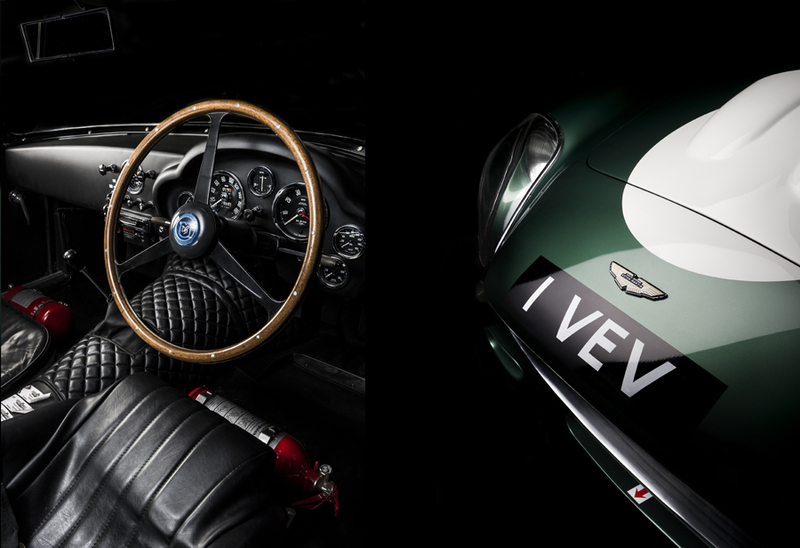 Aston Martin DB4GT/0182/R '1VEV' is amongst one of the most famous Aston Martin Racing cars to date and sits beside '2VEV' in the corridors of racing history within Aston Martin. This week commercial car photographer Tim Wallace spent some time with this legend shooting work that is to be combined with his earlier work on its sister car '2VEV' for the 100 Year Centenary Aston Book project that is almost now completed and soon will go to print. In 1990 1VEV sold at auction for £1.54 million GBP with its original engine but today that cars true value runs into many millions if it was ever to enter the auction arena again. 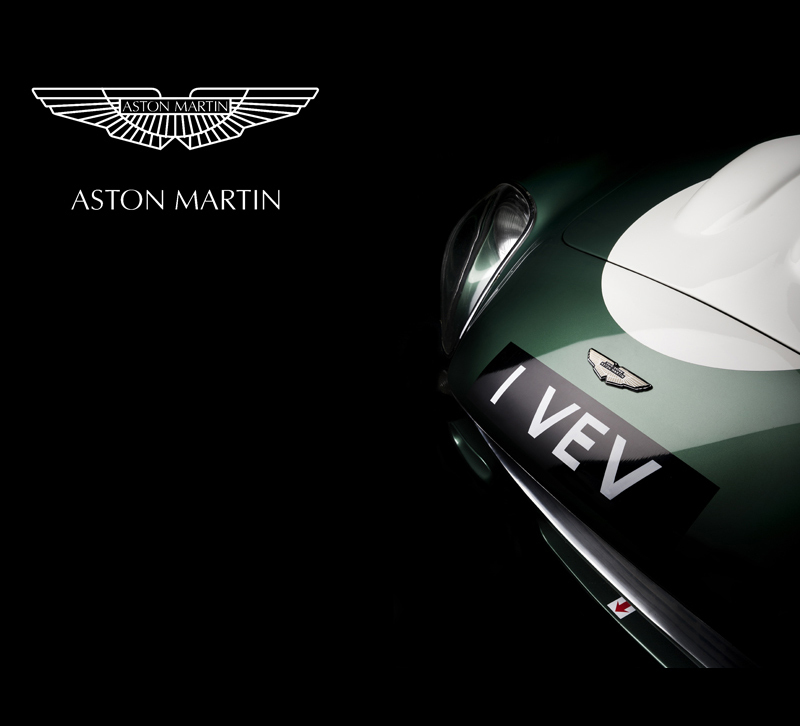 Both 1VEV and 2VEV was purchased by John Ogier's Essex Racing Stable and both cars became a huge part of Aston's racing history. 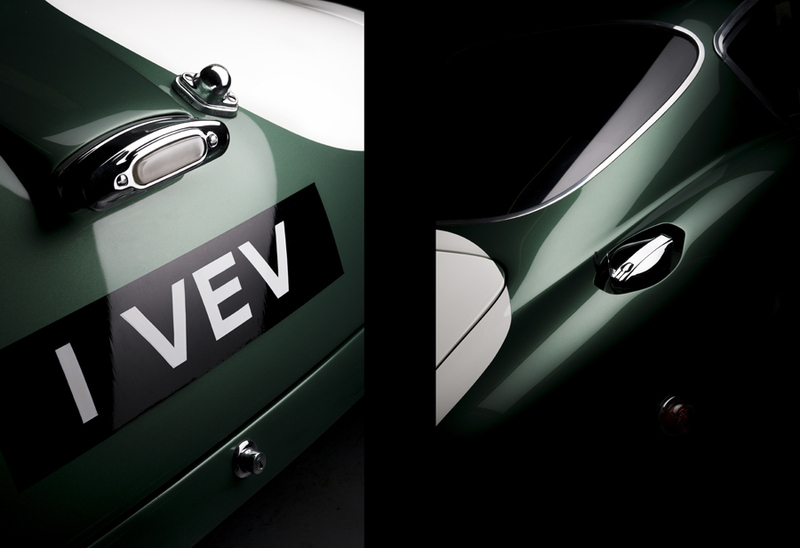 In 1961, 1VEV raced at LeMans but retired with head gasket problems. This was followed by a minor victory at the British GP race for sports cars that was absent of any Ferraris. The car's finest moment came at the 1961 Tourist Trophy when Roy Salvadori finished three seconds ahead of Mike Parke's 250 GT. During the race, the car was hard on tires and 14 new ones had to be fitted. The mechanic at the Essex Stable has been quoted saying that '1VEV never had more than 270 bhp', and that 314 was only possible with the later 3.9-liter engine. In 2007, the car was comprehensively restored and its rear fenders were reshaped back to the original specs. Although not overly successful, the DB4 GT Zagato was easily one of the most exciting and beautiful British sports cars thanks to its specially built body by Zagato of Milan. It was designed to take a stab at the Ferrari 250 GT roller coaster which was dominating the World Sportscar Championship. It was primarily sold to private race teams, but at least 4 of the 19 cars were built as road cars. In 1958, the first DB4 was released and received universal acclaim as a successful grand tourer (GT). 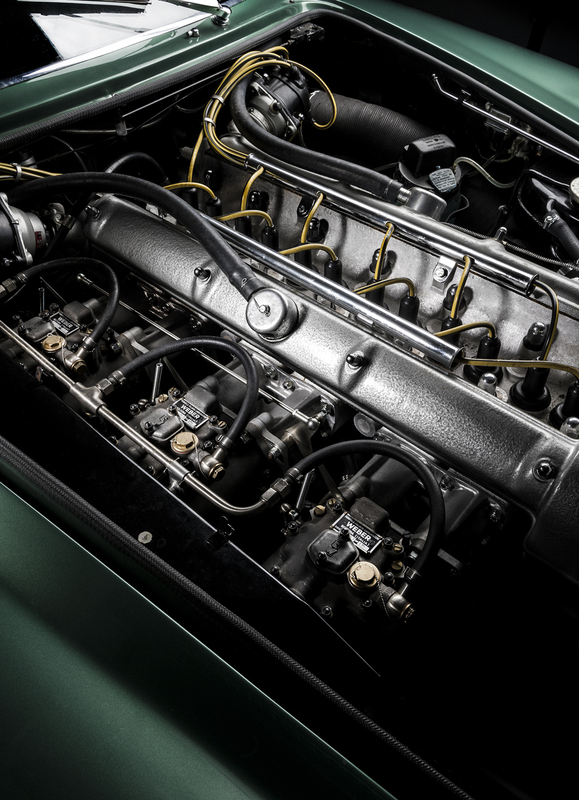 Much of the DB4 utilized technology from Aston Martin's earlier race efforts including disc brakes, an independent front suspension and a Superleggra body from Touring of Milan. 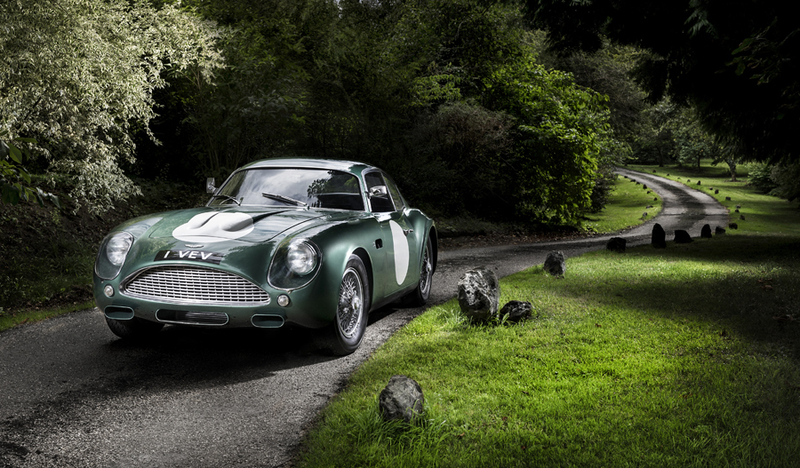 A year later, Aston Martin was anxious to take it to the track so they introduced the GT model in September of 1959. 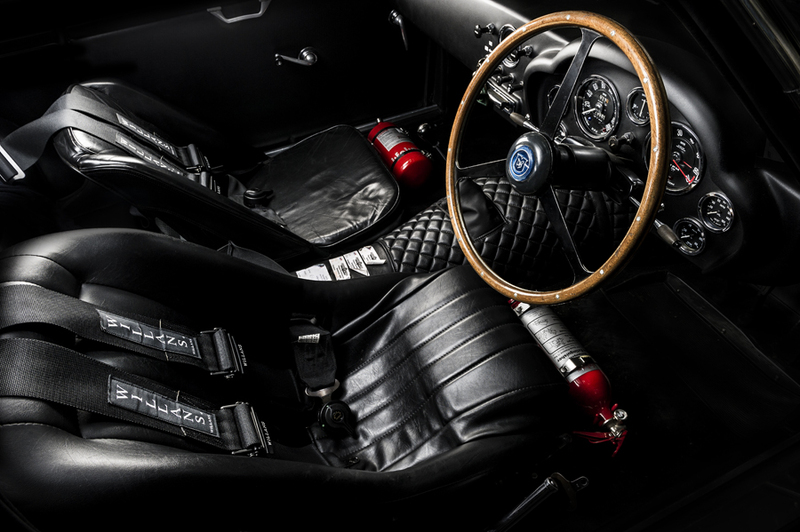 The GT model had distinct modifications which prepared the DB4 for racing endurance. These included a shortened the wheelbase, less interior and lighter bodies. The huge hood scoop which distinguished the model was hiding a the new improved and potent engine.